In this opinion piece, Anika John reflects on how the UPR has impacted how she views human rights issues in New Zealand. 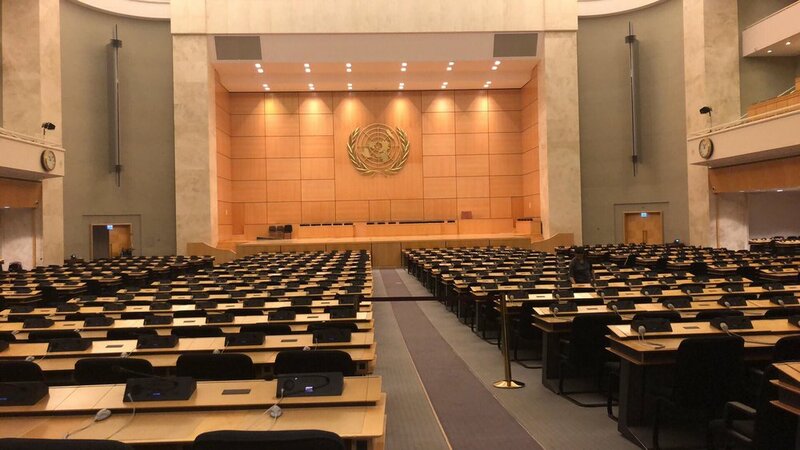 A short blog that reflects on her trip to Geneva, to observe New Zealand in the Universal Periodic Review in January of 2019. Posted on March 4, 2019 by Anika John and tagged UPR2019 New Zealand New Zealand Youth Delegation Conversation opinion piece education geneva. Attending New Zealand’s third Universal Periodic Review of human rights at the United Nations in Geneva, one recurrent theme of our delegation’s meetings with UN agencies was the UN’s Sustainable Development Goals (SDGs). Despite the absence of SDGs in UPR recommendations so far, the natural convergence between the development and human rights agenda means combining the two can make them each doubly powerful. Given this under-utilised relationship, I will argue the need for the SDGs to be at the forefront of recommendations made during the current third cycle of the UPR. Posted on February 9, 2019 by Katharine Woolrych and filed under Universal Periodic Review and tagged human rights advocacy Human Rights human rights in new zealand Sustainable Development Goals sustainable development SDGs UPR2019 universal periodic review geneva United Nations human rights review. Human rights are something that we often bring up in many discussions across the United Nations. Next year in 2019, it will mark the 70th year celebration on the Universal Declaration of Human rights. The Universal Declaration of Human Rights was adopted on the 10th of December in 1948, which consist 30 articles that outline the most fundamental rights for every human being. Being in the diplomatic city of Geneva, surrounded by the UN human rights headquarters, it has been rather an interesting journey in learning about the work of UN on human rights and the involvement of UN agency such as International Labour Organisation (ILO), Plan International and the New Zealand Permanent Mission in Geneva. Whilst learning about the work that's going on behind protecting and exercising fundamental human rights, a question was brought up upon - whilst we celebrate the successfulness of the advance we have today and the celebration of embracing all cultures, there is so much more work to be done, so much more unforeseen issues to be discussed. With a total budget of 2.6 billion USD, the suggestion that the United Nations might not be able to afford to solve all the human rights issues in the world perhaps shouldn't come as a surprise. The current state of human rights globally is under pressure, it is no longer a priority but rather a pariah. With the Universal Declaration of Human Rights being a declaration, it is not legally binding but carries moral weight and values. For decades, men and women across all states who have stood and survived the two world wars has understood utterly the idea that there will be no peace without justice, no development without better standards of life, and there will be no freedom without social progress and collaborations. But as decades went by, the generation is departing. In an era where racist can deliberately discriminate in public whilst fully dress in democracy and uphold the rule of law, we are backsliding in our effort to find a common solution. Human rights are threatened, as many leaders around the world consider such concept as "outdated", criticism is made abruptly and publicly towards the progress made amongst women's rights, indigenous rights and many others; space for civic activism is shrinking, the fear that advocating for something that is fundamental ensuring the safety of us; and the contempt of the rights of people are masked, as they are forced to flee from their home in order to escape prosecution. With the legitimacy of human rights being attacked, we question ourselves: How are we able ensure that these human rights are exercised correctly, to strength the human rights across the globe and make it more "normal"? Luckily, we are talking about human rights and human dignity, and this should be done without borders. In an emerging society, many are fighting to make human rights accessible to all. Take an example of the implementation of the UN Forum on Business and Human rights, this has opened up global ethical dialogue in regard to how we address key issues and challenges faced in the business and human rights sector. With a theme of "Business on Human Rights - build on what works", it will allow us to have an extensive insight on corporate responsibly in regard to human rights and how we can advance further progress on human rights in the future in terms of AI intelligence and machines. As for now, we are at a pivotal point in history, where we are not too late to make a difference. I look forward to participating fully in this conference and gather insights on this new innovative partnership between business, government agency, civil society and international organisation. Stay tuned for my experiences at the UN BHR 2018. Posted on November 27, 2018 by Aotearoa Youth Leadership Institute and filed under Business & HR 2018 and tagged humanrights sustainable development UN geneva ILO global responsibility humanitarian.